Review of the best coffee maker for your budget! We all love coffee, who doesn't? You can now make professional coffee just like your local coffee shop with these amazing coffee making machines. If you are tired of waiting in line at your local coffee shop and want to get instant coffee right at your home, then this coffee maker review article is exactly for you! Coffee makers are a great kitchen appliance that fit perfectly onto any kitchen surface giving you smooth, rich and piping hot coffee on demand. Our team at information.com has spent countless hours on researching and reviewing the best coffee maker machines for you! We came up with some pretty amazing results. See our top best recommendations and save time and money. Below you will find the best coffee machines based on your budget! Measuring up at 11.2 x 6.1 x 13.7 inches this coffee maker from Russell Hobbs is the perfect coffee maker for those looking for a higher-end product that will give you 40% faster brewing. It's easy to set the auto brew feature the night before and the carafe warming plate is great at keeping your coffee piping hot. What's more, you're able to reduce your carbon footprint with the reusable permanent filter! 40% faster brewing. Advanced auto-brew features. Easy to clean permanent filter. Stylishly aesthetic. Not only does the stainless-steel coffee maker look modern and classy, but its sophisticated features fit its upmarket look. Its advanced functions allow you to set a specific brewing time ensuring that you wake up to the smell of fresh coffee and what's more, the technology allows you to keep your coffee warm for up to 2 hours! Budget friendly. 12 cup carafe. 2 year warranty. Easy to program. Carafe handle made from plastic. With this model, Cuisinart aim to bring you a machine that gives you hot coffee every time without sacrificing on flavor. The DCC-3200AMZ brings you great features including the Brew Strength Control that allows you to select the perfect flavor for your taste and the ability to program a brew time up to 24 hours ahead of time! Optional ready alert tone. Coffee really is hotter. Large carafe with stainless steel handle. Easy to operate. Coffee too strong for some. With the HAMSWAN AD-103 Drip Coffee Machine, you won't need to wait more than 6 minutes for 10 cups of smooth, rich coffee and thanks to the optimal temperature feature, it will stay hot for up to 40 minutes. What's more, the heavy-duty, stainless-steel design, combined with the fact that the removable filter baskets are dishwasher friendly makes the coffee machine durable, great for families and the workplace too. 1 year warranty. Easy to clean. Fast brewing time. Perfect for the workplace. Only holds up to 10 cups of coffee. Coffee makers really are a great investment, especially if you're sick of instant coffee and tired of waiting in line at your local coffee shop. However, before investing in a coffee machine, it's important to understand exactly why you want one in order to find the right product for you. Checking online for good features is one thing, but comparing one model to another helps you to really understand what's available in your budget and what product best suits your lifestyle. There is an endless list of comparative qualities including price, user interface, capacity, speed, durability, filter type and much more. So, read on to discover where your money is best spent! Why Did We Choose The Aicok Programmable Coffee Maker? The 1.8 liter capacity of the carafe means that you are able to produce a whopping 12 cups of coffee in just one go. What's more, the glass carafe offers clear reading which means that you're able to stay in control of the exact quantity you're producing and avoid spillages too. The 24-hour timer is convenient, to say the least, and the gorgeous smell of fresh coffee can entice you out of bed at whatever hour you chose. There's even a keep warm feature if you're not quite ready to drink your morning coffee just yet! We loved the anti-drip feature that Aicok provides us with that allows for a whole 30 seconds to pour your coffee. Cleaning is a breeze as the filter is easily removable and the LED screen makes it easy to see exactly what functions you're working with. What's So Great About The Cuisinart Coffee Maker DCC-3200AMZ? This machine is great for those that need control over their coffee! The impressive functions allow you to adjust the strength, heat and set the warming plate temperature to ensure that it tastes exactly as you like it. What's more, playing around with the different settings won't leave you with burnt tasting coffee which is always a risk with other coffee makers on the market. What's more, although you have the option to make 12 cups of coffee, you don’t always have to. If you're just making coffee for you and your other half then you can push the 1-4 cup button in order for your machine to make a smaller amount. The cherry on top of the Cuisinart DCC3200 is the chlorine filter which allows you to remove any unhealthy, unpleasant odors and tastes from the water before it starts brewing! Why Did We Love The Russell Hobbs Stainless Steel Coffeemaker? If you're looking for a high-end product without the hefty price tag then this coffee maker is the one for you. Not only is the coffee that this Russell Hobbs machine exquisitely rich but it also uses a permanent gold tone filter which we loved. Not only does this filter mean that there's no longer need to waste money on disposable paper filters, you're reducing your carbon footprint too! The auto brew feature is also one of our favorites thanks to the clear user interface that allows you to set the time in a matter of seconds. Once you've set the time, you'll be able to wake up to the smell of fresh coffee in the comfort of your own home. Still not convinced? Once you see how the sleek design and the stylish LED backlight adds class to your kitchen worktop you won't regret your purchase for a second! Why Did the HAMSWAN Drip Coffee Machine AD-103 Make It Onto Our List? What could be better than sharing a pot of coffee with all your friends and family? The Hamswan AD-103 allows you to do just that! This coffee machine has a 1.25l capacity and quickly brews enough for 10 cups of coffee served in the high-quality, durable glass carafe. What's more, it comes with 5 vent whole system meaning that your coffee will always be flavorsome and well-balanced and a detachable, dishwasher friendly filter basket that ensures coffee (and tea!) are always ground to perfection. If you need your coffee in a hurry and then you'll love the anti-drip system which lets you pause brewing, pour yourself a cup of coffee and dash out the door. We also loved the auto shutoff feature which means you never have to worry about putting your safety first! Why Will You Want to Start Your Day with the OXO 9-Cup Coffee Maker? The OXO 9-Cup Coffee Machine features a sleek design and a unique mixing tube that ensures every drop of coffee tastes equally as delicious. You'll love the delayed brewing timer on this machine. This coffee maker is a reliable choice that will last for years! How Does the Bonavita Thermal Carafe Coffee Brewer Stand Out? The Bonavita Thermal Carafe Coffee Brewer is an easy-to-use coffee machine that offers high-quality performance that results in great uniformity of flavor. This 8-cup coffee maker will make the start to any day better with a full pot brewed in just six minutes! What Does the Mr. Coffee Optimal Brew Offer? Mr. Coffee is an iconic coffee maker brand that has graced many homes with its presence. The Mr. Coffee Optimal Brew offers a lot of features we love, such as a removable water reservoir, permanent filter, and delay brew timer. Most importantly, of course: it makes delicious coffee! Why Do We Recommend the Bunn Velocity Brew BT? The Bunn Velocity Brew BT can brew anywhere from four to ten cups of coffee in just three minutes! That's the fastest of any coffee makers we've tried, and the coffee also comes out consistently good! If you or someone you knows is a grump until they've had their morning cup of coffee, cheer them up faster with this brewer! Why Will Coffee Connoisseurs Enjoy the Technivorm Moccamaster? The Technivorm Moccamaster is a premium coffee maker which can brew a full 40-ounce pot of coffee in six minutes. The flavor of this coffee is pleasing to even the most refined palates. This drip coffee maker is an elegant looking appliance that you won't mind taking up your kitchen counter space. Why Do We Stand Behind the Behmor Brazen Plus Coffee Maker? The Behmor Brazen Plus is a coffee machine that offers a customizable coffee brewing experience. This is a great coffee maker also for people who live at high altitudes, as there is a special setting just for this purpose. You can also customize coffee brewing features such as temperature and pre-soak time. Have you ever stopped to think about why you love coffee so much? Why are coffee shops and coffee makers thriving? We are addicted to coffee! But whats in it that makes it so addictive? Beyond its aroma and awaking feel it gives us. Coffee is amazing and pretty much every other person on this planet drinks coffee on a daily basis! Caffeine, which directly touches our brain dopamine and causes in increase in neuron fires in our brain. This wakes us up. Once this happens hormones are released which produce adrenaline. When we drink coffee its caffeine creates an effect that is similar to the feel of taking drugs like cocaine and ecstasy. Of course, caffeine and coffee is not as harmful to us as cocaine or ecstasy, it does changes how our body functions. For the most part coffee wakes us up and creates dependency to want more coffee in our bodies! Here is some fun facts and history about the Coffee we love so much! Coffee was discovered by shepherds in the country of Ethiopia at 800 A.D.
Shepherds noticed that their goats and sheep were acting funny while eating from the coffee leaves. It seems that the goats had a lot more energy after eating from the coffee berries. Thereafter investigating the coffee berries, someone local had made a tasty drink out of the berries and had discovered that this drinks keeps him up all night long! That is when Coffee was born. Around the world. There are over 25 million people who farm and produce coffee for millions of others around the world, so they can have their delightful coffee! Though Seattle and Starbucks coffee gets huge amount of credit for popularizing espresso coffee, the original espresso actually comes from Italy! The espresso machine was invented by a fellow named Luigi Bezzera in the very early years of the 1900s. Its said that the machine was stolen from Luigi Bezzera by a person named Desidero Pavoni, who gets the credit for investing the espresso machine. Espresso coffee is made by pressure forcing coffee beans with boiling water under pressure. 40% of the world actually drinks coffee that is produced the country of Brazil! Columbia and Vietnam produce much of the world’s coffee as well! In the United States, Hawaii island is the only state the actually products Coffee due to its rich climate which makes its coffee delicious! Over drinking coffee. You can, in fact, drink too much coffee. There has been evidence of people who over dosed on caffeine. Though, these people drank around 100 cups of coffee per day! When you drink coffee you actually decrease your chance of having Alzheimers. There has been numerous studies and researches who show that people who drink coffee and have caffeine in their blood, are less likely to have Alzheimers. Caffeine has positive aspects to it such as helping with diabetes and protect the skin against skin cancer diseases. In 2014, South Korea has brewed the largest cup of coffee with 3,700 galloons of coffee in it! You would be surprised to know that in North America, over 80% of people who are considered adults, drink coffee on a daily basis! The term coffee actually has traveled around the world until it actually became: Coffee. In Yemen it was called wine and in Turkey it was named kahveh. It was the dutch who gave the term Coffee. How Do Choose the Right Coffee Machine for You! You love your coffee and you want to have the right machine at your home. You know how you like your coffee, or maybe you want to discover new ways of making it. Either way, choosing the right coffee machine is essential. Lets have some fun when picking the right coffee machine for you! What kind of a coffee drinker are you? Are you heavy coffee drinker? How many cups do you drink per day. Do you take your coffee with milk? Soy milk? Do you like your coffee weak, or strong? These are some of the answers you would need to answer when choosing your coffee machine! How much room do you have for your coffee machine? Do you have a lot of space, or less space? What is the budget you are going to invest when purchasing your coffee machine? Decide on a budget and then look at the options we have listed above. Or better yet: try our deals section if you are looking for some quick deals on coffee makers! How many people are in your house hold? Is it just yourself or do you share your coffee machine with your entire family of 2-5 people? You would need to understand that so you can choose the durability of your coffee machine. The above coffee machines we have reviewed do the job for every answer to these questions we have listed above. Further more, you can always return your purchase as the sellers mentioned above are all verified sellers through amazon! 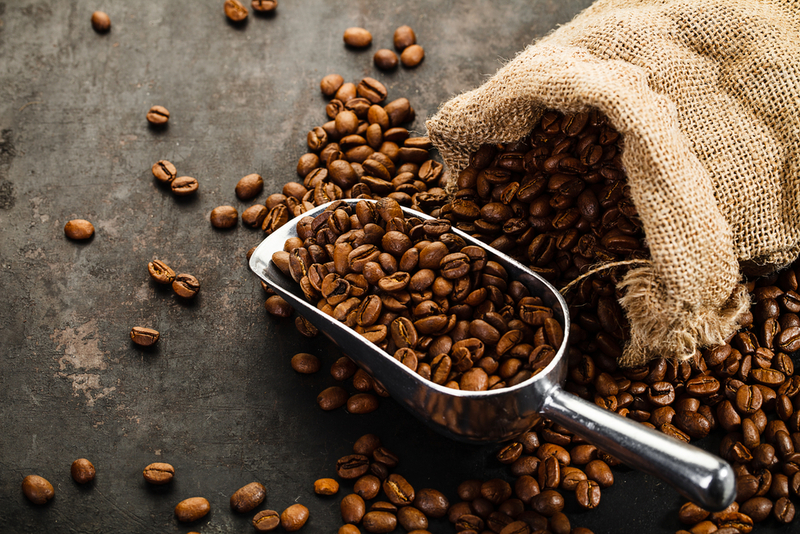 If your daily grind literally starts with the smell of freshly ground beans then investing in a high-quality coffee machine is a must but as you already know, there is so much to consider! Aesthetics, volume, size, coffee quality, the list of criteria is endless! You can spend anything between $50-$500 on this fantastic product however we're here to help you make an informed decision on what will work best for you. Most of our research showed us that the Aicok Coffee Maker with its impressive timer and 12-cup capacity made a consistently good cup of coffee. In short, this coffee maker was our first choice as everything from the reusable filters to the user-friendly interface made us smile. We loved that in terms of its aesthetics, it's a pretty standard drip coffee makers, however, the quality is so much more that. To see our Best French Press review, click here! We compared the top webcams for gaming, streaming, business, and more. Before making a purchase, check table to compare webcams to make an informed choice!